Well, looks like it’s safe to say Chris Weidman is still pissed off about that whole ‘middle of the fight trash-talking’ thing Anderson Silva pulled back at UFC 162. Weidman recently instagrammed this poster he has hanging around his house as motivation for his upcoming rematch with Silva at UFC 168 this December. Some guys need trash talk for motivation, others just need a little bulletin board material. 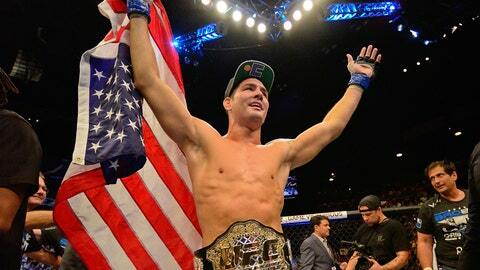 Weidman will probably end up getting a little bit of both.